Parra’s career has surpassed those boyhood dreams. He grew up in what he characterizes as a blue-collar immigrant family; his parents came to the United States from Cuba via Spain. 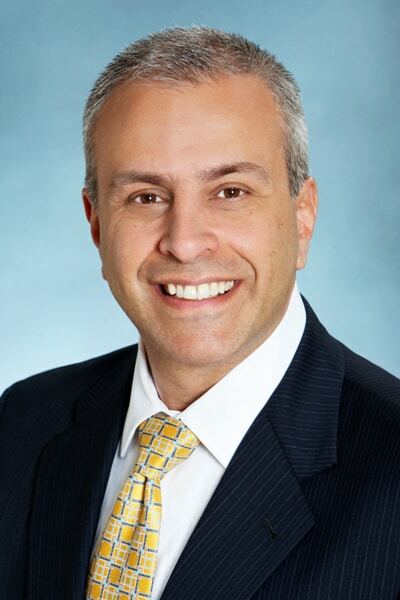 Now, Parra is Bank of America Merrill Lynch Pacific Southwest region executive and senior vice president in San Diego, California, where he leads a commercial banking group. During nearly thirty years with the company, Parra has held positions in in finance, marketing, product management, and product development and worked with clients in numerous industries. In an interview with The Alumni Society, Parra discusses the importance of diversity and inclusion and of recognizing the importance of working with mentors. Is there a common thread that runs through your many different roles and types of clients that’s helped lead to your success? My formal education includes seventeen years in Jesuit schools that stressed service to others. Part of me also wanted to be a teacher, so I viewed myself as a coach and trusted advisor. I always believed if I took care of the clients, results like sales goals would take care of themselves. I built personal relationships and always strived to be authentic, always acting in clients’ best interests. Sometimes that included telling them when we couldn’t provide something they were asking for. How has the financial industry changed over the course of your career? Much of the industry used to feel that every dollar earned was a good dollar, no matter where it came from or how you got it. There is much more emphasis now on being a good corporate citizen—putting customer needs first, being good community partners, and paying attention to diversity and inclusion. Those aren’t just feel-good things. They’re business imperatives. I firmly believe that if we act accordingly, those priorities will help us out-perform the market. In practical terms, how do diversity and inclusion impact your business? Diversity and inclusion are at the heart of what we do. They help make our company a great place to work and the diversity of our employees makes us stronger. In recent years, our firm has supported the development of employee networks that help connect employees to one another and the community in order to foster a culture of inclusion. In San Diego, I was the founder of our local chapter of the Hispanic/Latino Organization for Leadership and Advancement (HOLA), where I still serve as the executive sponsor. Six years ago, I was involved in the formation of the Hispanic/Latino U.S. Leadership Council, a forum for the bank’s most senior Hispanic and Latino executives. Our focus is to develop strategies that will deepen relationships with Hispanic-Latino clients while growing Bank of America’s Hispanic-Latino leaders. It’s critical that we connect our Latino leaders across the organization. I personally mentor about two dozen diverse employees every year. Are you involved in other volunteer activities? I’m the vice chairman of the board of directors of the San Diego Regional Economic Development Corporation. Our key focus in 2018 has been to create a platform for inclusive economic growth. Part of our mission is to address achievement gaps. For example, San Diego is approximately one-third Latino, but 85 percent of that population doesn’t have bachelor’s degrees, which limits the region’s economic competitiveness. We’re working with the Brookings Institution to address these issues and look forward to our region’s diversity becoming a competitive asset. We’ve laid the groundwork for things to change, but we still need more trailblazers, leaders, and mentors. I remember feeling envious of peers who grew up in white-collar families who had what seemed like networks that had grown out of conversations they had around their dinner tables. Since my parents were penniless when they came to this country, I was keenly aware of that—and that I never had any Latino mentors. I’ve always been driven, competitive, and intellectually curious. I’ve also been very willing to work outside my comfort zone—even in roles I wasn’t really ready for. When I became manager of the commercial lending group, I didn’t have formal training in lending or underwriting, but I identified others who would be good resources and developed partnerships with them. I surrounded myself with people who were, honestly, more qualified than I was, and I wasn’t afraid to hire people who could replace me. I still look for people who are diverse, smart, competitive, and can work outside their comfort zones. With those kinds of personalities in place, we’ll continue to exceed the expectations of our clients and lead our industry. You have to advocate for your own career. If you’re Latino, chances are you’re raised to put your head down, work hard, do a good job, and expect everything else will take care of itself. That’s only part of the equation. You have to learn to reach out to mentors and develop relationships with others who can help you along the way.